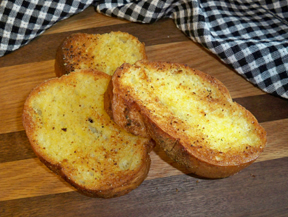 This is the best garlic toast you will ever make. Perfect beside a pasta dish or top this bread off with a tomato-basil mixture. Slice bread into 1-inch slices; place with cut side up on a large baking sheet. 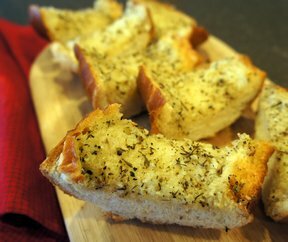 In a small bowl, combine butter, cheese, garlic, and oregano. Brush onto cut surface of bread. Sprinkle with paprika. Broil 4 inches from heat for 2-3 minutes or until lightly toasted. 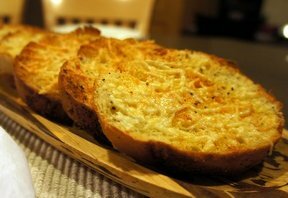 "Great garlic bread recipe. I don't know if it was the paprika or what, but this was the best garlic toast I have ever had. 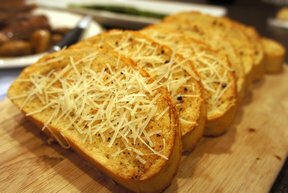 I served it with spaghetti and had spaghetti leftover but no garlic bread, which is unusual."